As part of the European Partage Plus project, on the 13th and 14th February 2014 KIK-IRPA will hold a symposium dedicated to the study of art nouveau. It will be the 15th art history seminar, an initiative of the Documentation department of KIK-IRPA: Art nouveau revisited: trends and peculiarities. 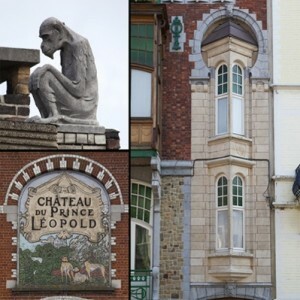 Emphasis will be laid on the different coexisting trends and peculiarities of art nouveau, both in Belgium and abroad. Freed from the yoke of historicism, artists and craftsmen drew their inspiration from highly diverse sources, revisiting local cultures and celebrating secular artisanal techniques (wrought iron, hammering, sgraffito, ceramics, stained glass…) and regional materials. The invention of this unique decorative vocabulary was enriched by the assimilation of organic forms inspired by nature, archetypes of industrial civilization as well as japonism. If you would like to give a presentation on this issue, please send following documents to artnouveau[at]kikirpa.be before the 20th of December : a short summary of maximum 15 lines, a provisional title, your CV and a list of publications. The presentations, which will last about thirty minutes each, will be given in French, Dutch or English. More information can be found on www.kikirpa.be.